Chiesa S.Anna is a humble, cozy church in Afragola. Its consistent contribution to the community has made it one of the favorite chapels amongst not only the adults, but the youngsters too. The modest design of the church, its simplicity and the environment is alluring. The church also conducts sports events for children and youngsters, providing sports complex facilities for rejuvenation. It also encourages talent and has an inhouse theatre where small kids to adults can participate and perform during events. To personalise your visit to the city, you can use an all-inclusive Afragola trip planner for the same that will give detailed information about visiting the city. You won't miss your home when in Afragola, hotels in Afragola like Hotel Fly, Hotel Blanc, Europa Grand Hotel & Restaurant - Sea Hotels and Hotel Luxor offer some of the best places to stay in the city. Choose from variety of exclusive Afragola vacation packages for your next visit or create own own. Check out the various options for how to reach Afragola and finish off your vacation package by booking the ideal transfer. Love this? Explore the entire list of places to visit in Afragola before you plan your trip. Fancy a good night's sleep after a tiring day? Check out where to stay in Afragola and book an accommodation of your choice. È la mia parrocchia e tanto asta. Ci sono stata per un funerale: luogo di raccoglimento. Semplicità e amore fanno di questo luogo la vera casa di Dio, il parroco Don Franco e Padre Antonio hanno il grande dono della parola per cui Sacre Scritture e Vangelo sono comprensibili e assimilabili da tutti coloro che hanno il privilegio di poterli ascoltare durante l'omelia oppure grazie ad una confessione che è una vera riconciliazione con Dio e con se stessi. 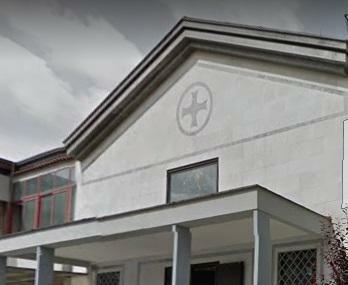 In questa chiesa si ritrova la grande gioia di essere cristiani!